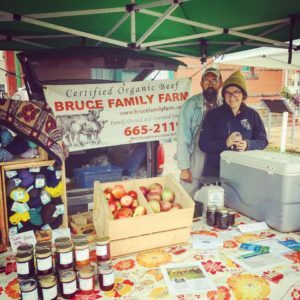 Since 1788, for six generations, the Bruce Family Farm has produced food for Nova Scotians. 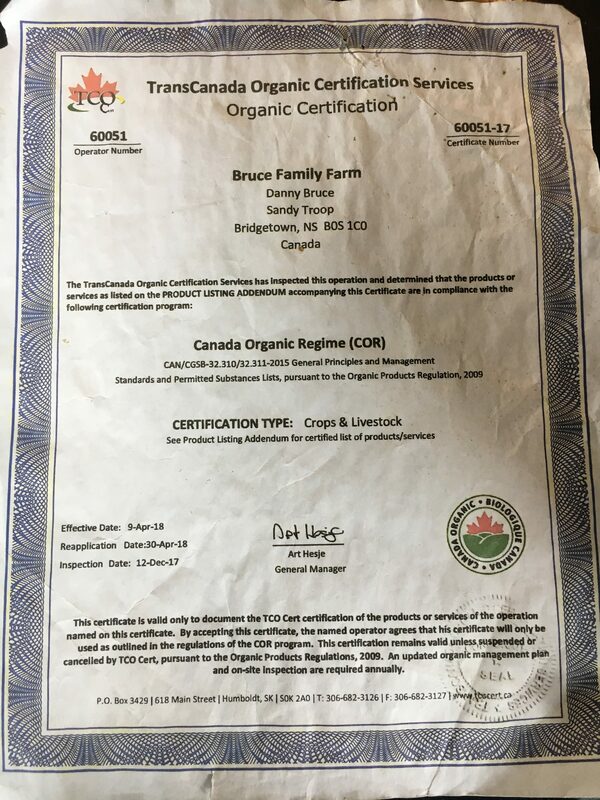 In 1996, the farm was certified as organic by the Nova Scotia Organic Growers Association. 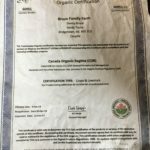 Since that time the farm produces certified organic grass-fed beef, chicken and eggs.